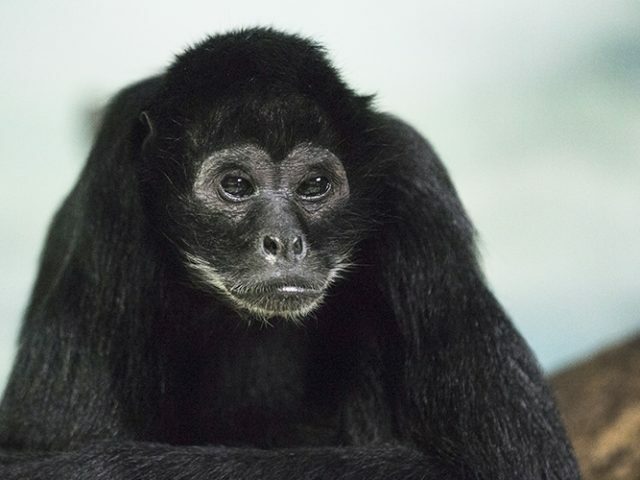 Spider monkeys have slender bodies with long, thin limbs and are usually all black, but occasionally there are flesh-colored rings around the eyes and white chin whiskers. They have exceptionally long tails in relation to their body length, which averages from 16-21” with the tail being 28-34”. 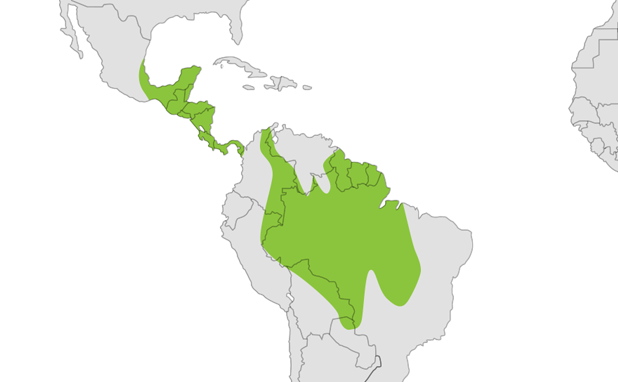 Spider monkeys live in large, relatively unstructured communities of up to 100 individuals, but there is great variation in numbers with larger groups usually broken up into smaller groups. 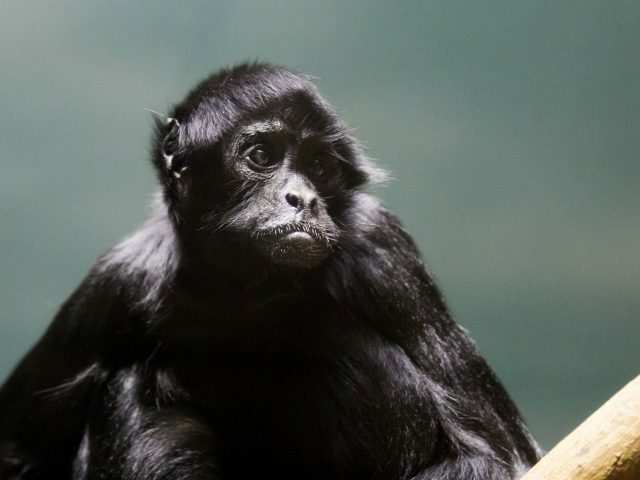 The most cohesive units are female groups with offspring in an otherwise loose construction. Social grooming is of relatively low value but demonstrates rank order within the group. 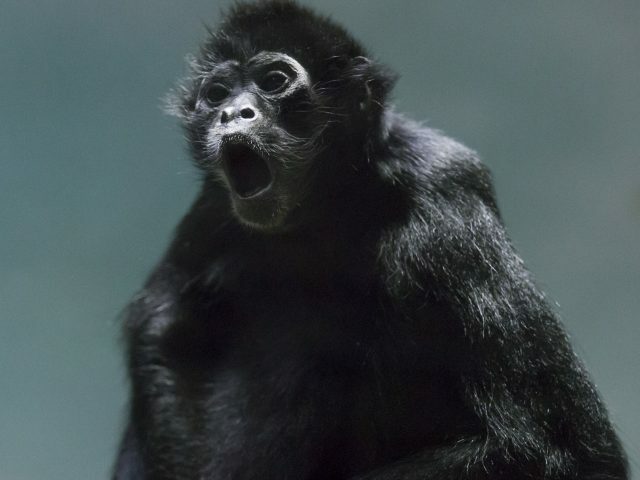 Spider monkeys are diurnal, so they spend the majority of the early morning hours foraging for food. Although locomotion is basically quadrepedal, they are capable of swinging below branches by means of arms and tail. There is usually a single birth for each successful breeding, and the youngster is carried on the mother’s abdomen for about four months, and then later switched to her back. Infants use their prehensile tail to hold onto mother’s tail for more stability. 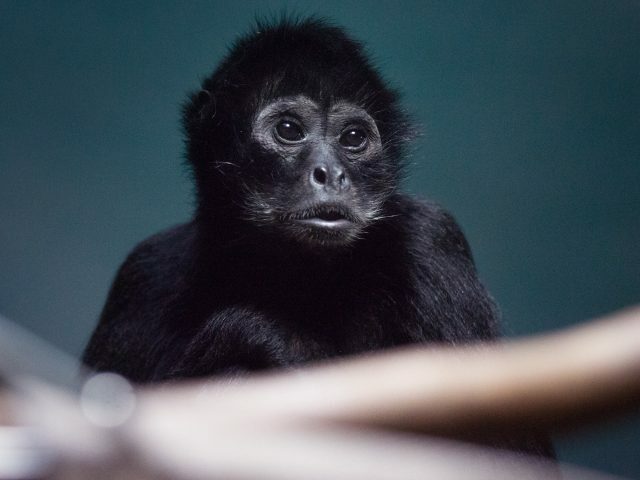 Spider monkeys display many forms of visual communication by making faces to each other, and to our keepers here at the zoo. 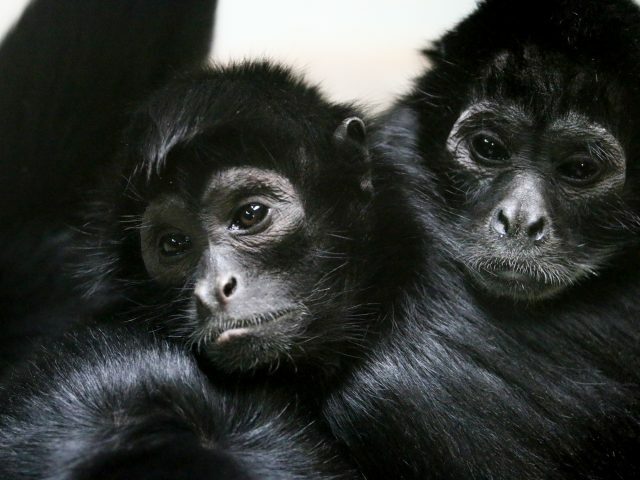 These monkeys are also known as part of the New World monkey group, which are five families of primates found in South and Central America. 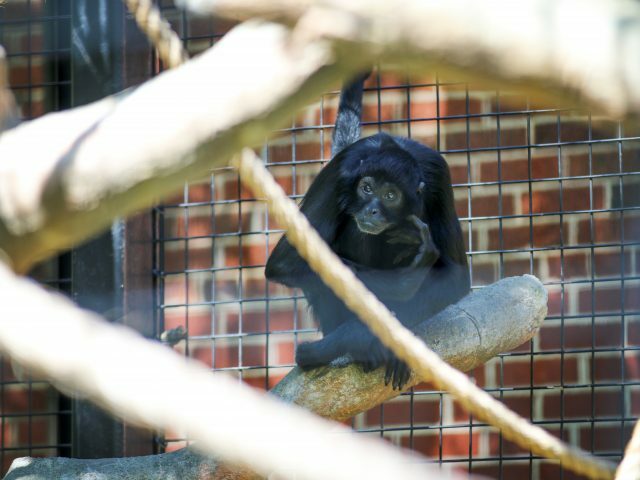 Six spider monkeys call Potter Park Zoo home, and only one female, Gumbelina, lives among them. 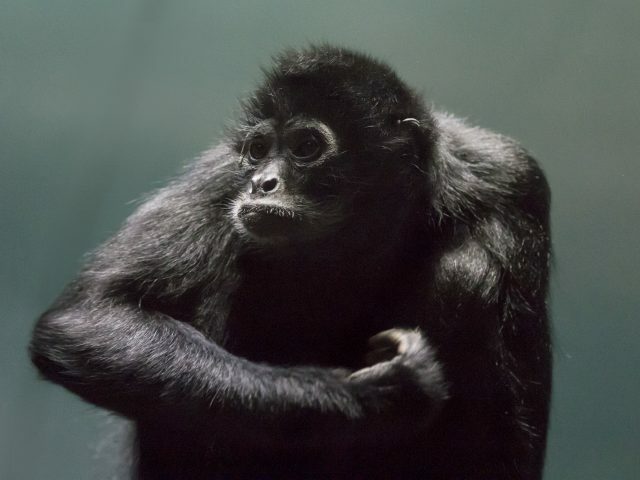 Sonny is the dominant male of the group, and he and the others can be seen year round in their indoor or outdoor exhibit. 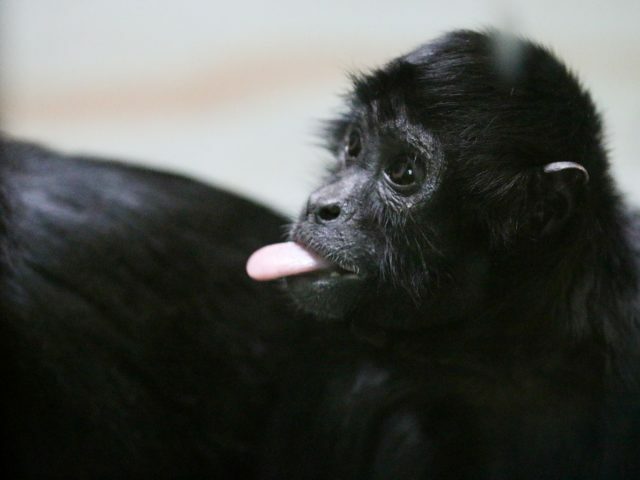 The spider monkey can be up to 21 inches long, with another 34 inches added for the tail! Both the male and female average around 19 pounds in weight. 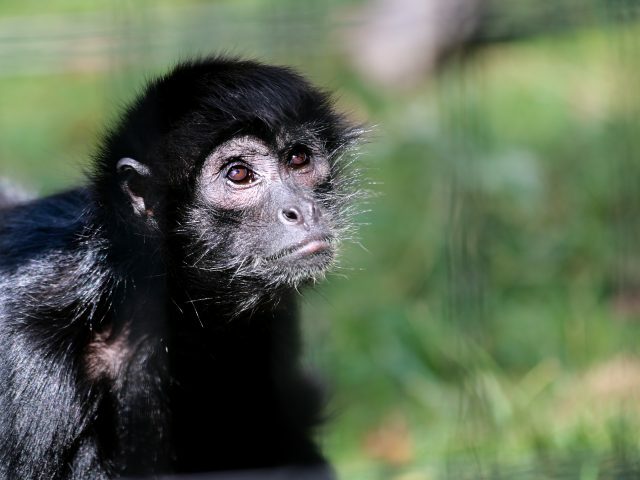 In the wild, spider monkeys can live up to 25 years, and in captivity they can live up to 40 years. Fruits and nuts as well as buds and flowers, and sometimes spiders and insects.